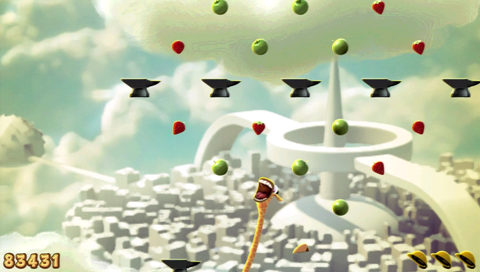 Hungry Giraffe is the latest PlayStation Mini title from developer Laughing Jackal, placing gamers in control of a gluttonous giraffe with an insatiable appetite for all manners of edible delights. Clearly this giraffe isn’t the healthiest creature, as the concept of dieting or self-control is lost on this long-necked mammal. As the title implies, Hungry Giraffe sees players take control of a starved giraffe in search of delectable treats lingering in the sky. Stretching its neck to ridiculous lengths, the aim is to chow down on as many snacks and achieve the highest score possible. The menu is out of the norm for this ungulate, ranging from apples and strawberries to cheeseburgers and fries. Eat your way to new heights but be careful, the platter isn’t all tummy friendly with adverse side-effects for popping the wrong food types. 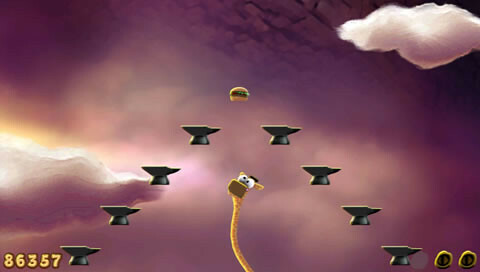 Designed with simplicity in mind, take control of the analogue stick (or joypad) to guide the giraffe’s excessively long neck, snaking your way up and up towards as much food as giraffical-ly? possible. 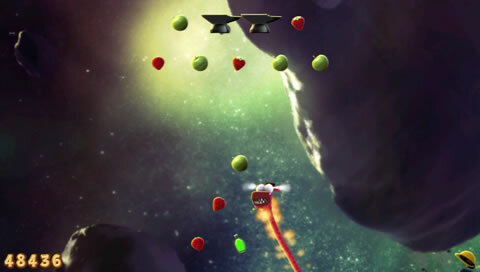 Controls are easy enough to grasp and responsive to inputs and quick-change directional flicks. Going against dietary advice, the more you eat strangely has positive benefits, propelling the giraffe to new heights and greater scores, all in the name of your own personal glory. Hindering progress are the no-no foods that include anvils, dumbbells, potions and artificial pills. Choffing on these have adverse effects: ‘rainbow sick’, aka. 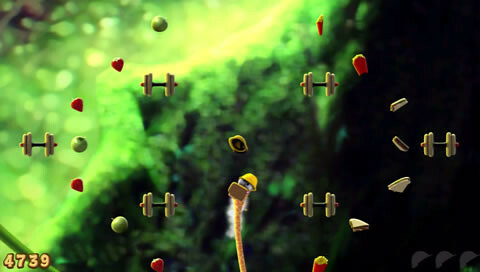 vomit blocks vision, potions flips your control scheme whereas dumbbells will drag you back down from your skyward adventure. 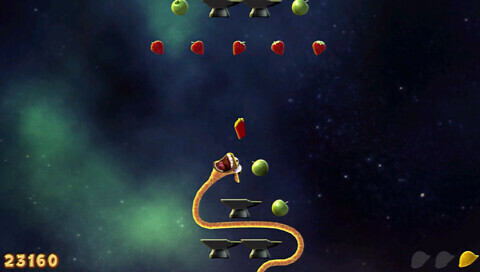 The name of the game is eating the right food types and when you get it wrong, oh boy does Hungry Giraffe punish you. The rising momentum comes to an abrupt halt and it becomes a fight for survival as the giraffe’s neck bends and twists in all directions that not even a well-trained orthopedist could solve. Where your giraffe is placed at the time of said food poisoning ultimately determines whether this setback can be overcome. Situations of food supply being too sparesly placed makes for a hopeless struggle as the giraffe sadly plummets back down head first. 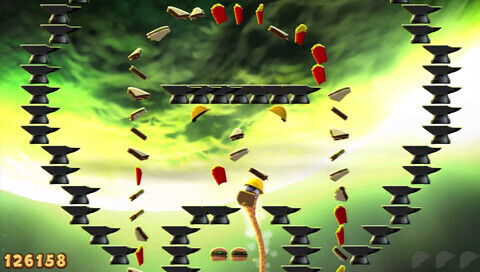 Naturally, there are ways to avoid this ‘game over’ scenario by collecting yellow hats which Laughing Jackal claims are the giraffe’s favourite headpiece. 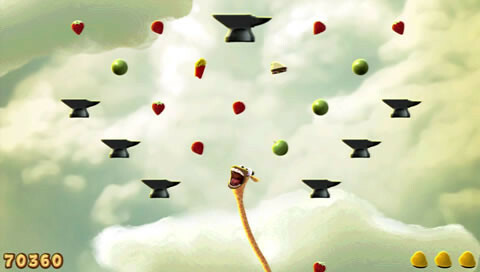 The hats look remarkably like a construction helmet and will provide a quick burst of speed when you tap the X button, hopefully shooting the giraffe upwards to a safe patch of edible delights to keep your journey chugging along. 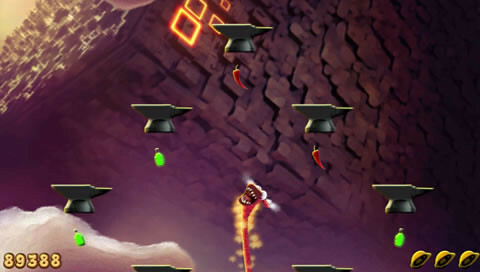 In addition to the hats, there are also chilli peppers which offer a similar beneficial boost should you need a quick pick-me-up. 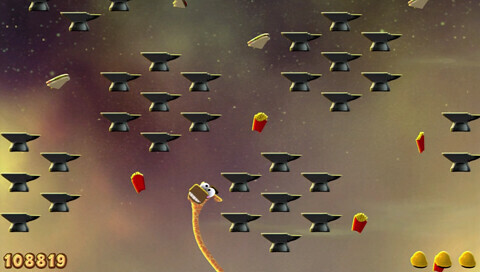 Careful resource management is instrumental to your success in Hungry Giraffe so keep a few spares up your sleeve for when things get a little sticky. The gameplay’s simplistic nature is refreshing however also represents a negative for those looking for more out of this title. 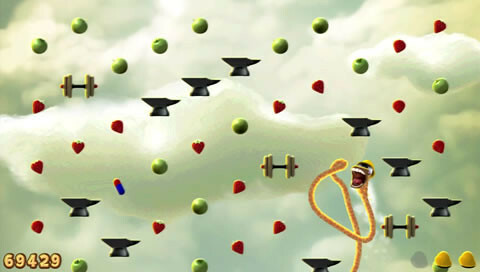 There is little to do other than to chase high scores and although there are mini-achievements and trophies, once you’ve exhausted these options Hungry Giraffe doesn’t offer much else incentive to play. That being said, it is perfect for sinking a few minutes of frenzy-fueled feeding when you have a free moment and keeping in mind that it is a Mini title, Hungry Giraffe does offer what you’d expect from a title of its size, quick bursts of fun! 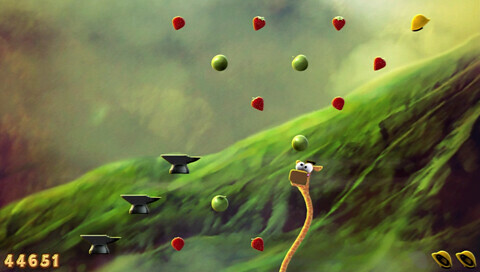 Visually Hungry Giraffe is sharp and clean, especially for a PlayStation Mini title. Although designed to be played on the PlayStation Portable, I played it on a PlayStation 3 console and the crispness of the visuals and high resolution graphics exceeds most other PlayStation Mini titles on the market through some clever technical know-how by Laughing Jackal. Backdrops are beautifully presented from jungle hightops that transistion into an open galactic space should you progress along far enough. Hungry Giraffe is an all-you-can-eat smorgasbord presented in a mini-bite size serving. Accessible to everyone with an easy to understand concept that’ll satisfy your entertainment cravings when you’re short on time. Its imaginative, quirky flair lets you do things you normally wouldn’t in reality, like feeding cheeseburgers and drugs to a giraffe, and that in itself makes it a recommended purchase. 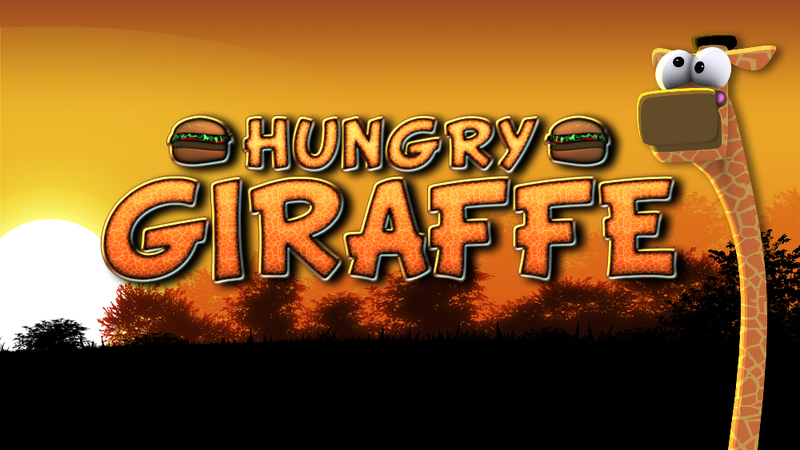 Hungry Giraffe is currently available via the Sony Entertainment Network at a tiny price of £2.49/€3.49.